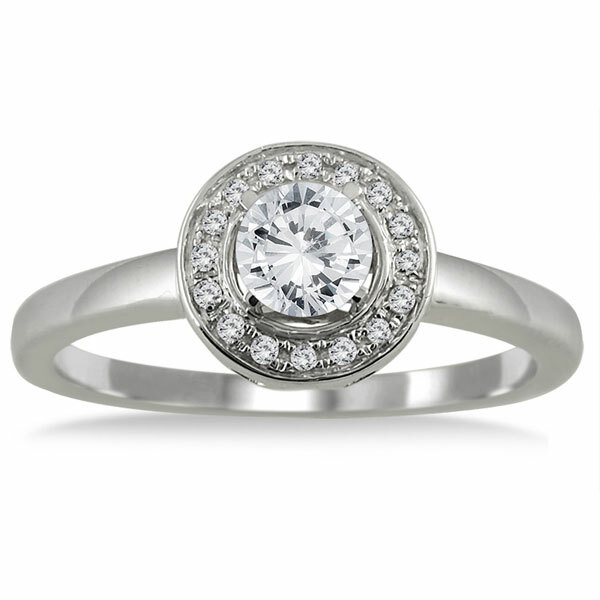 Diamond halo rings provide the illusion of a large diamond by surrounding a central stone with a circle of smaller stones, and this 1/2 carat diamond halo engagement ring in 10K white gold is a lovely example! A 0.40 carat round diamond is framed by 16 smaller stones for a total of a half carat of diamonds that seem to multiply each other's sparkle. 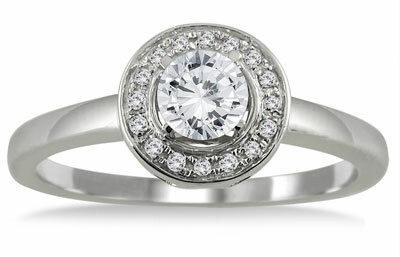 Set on a clean, shining band of 10K white gold, this ring is modern and classy. Apples of Gold Jewelry guarantees the 1/2 Carat Diamond Halo Engagement Ring, 10K White Gold to be of high quality and an authentic engagement ring with real diamonds, as described above.